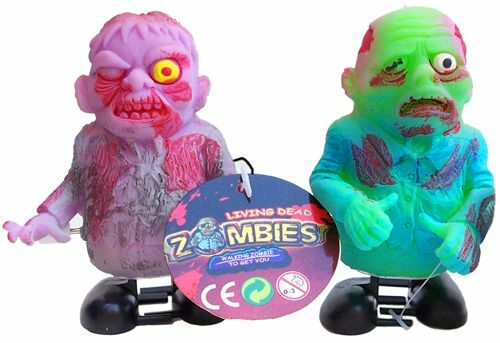 Clockwork living dead Zombies with brightly coloured rubbery 'skin' that advance along menacingly! Designs and colours vary. 7.5cm tall.